Jason Voorhees is undead and is considered 12 HD for Turn Undead. Jason regenerates 3 hit points per round and can only be damaged by magic and magical weapons of +1 or greater. If Jason is reduced to zero hit points there is a 1-4 chance in a 1d6 that he comes back to life with 3d6 hit points. 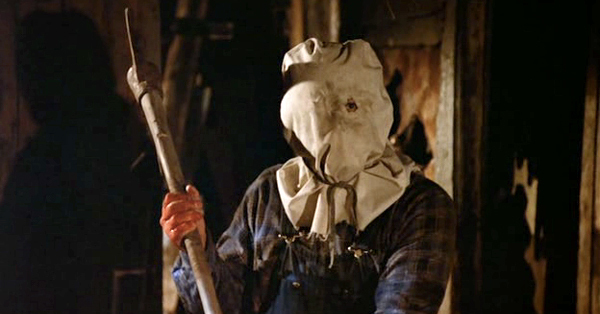 Jason can surprise his victims with a 1-5 chance in a 1d6. Jason is also immune to Sleep and Charm spells. 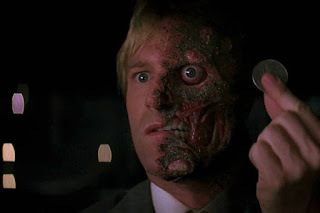 Harvey Dent, once a U.S. Marshal, is wanted for multiple charges of murder. While Dent was a U.S. Marshal a couple of outlaws got the jump on him. They nearly beat him to death. 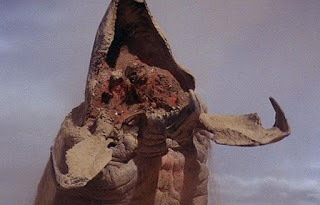 While beating him they held his face down on a hot anvil which completely burned off the flesh of the left side of his face. They left him for dead but Dent miraculously survived the ordeal. The attack drove him mad. 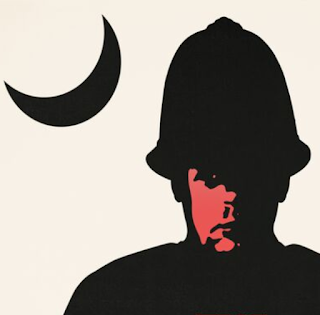 He wasted away days and weeks hunting down the outlaws. He eventually found them but left their lives in the hands of chance; a coin toss. Heads - dead, Tails - live. Fortunately, chance was in Dent's favor. The wound on his face began to rot and poison his mind. He became another person while Harvey held on to humanity. Two-Face Harvey. Kind, generous, hero. Then cruel, greedy, villain. 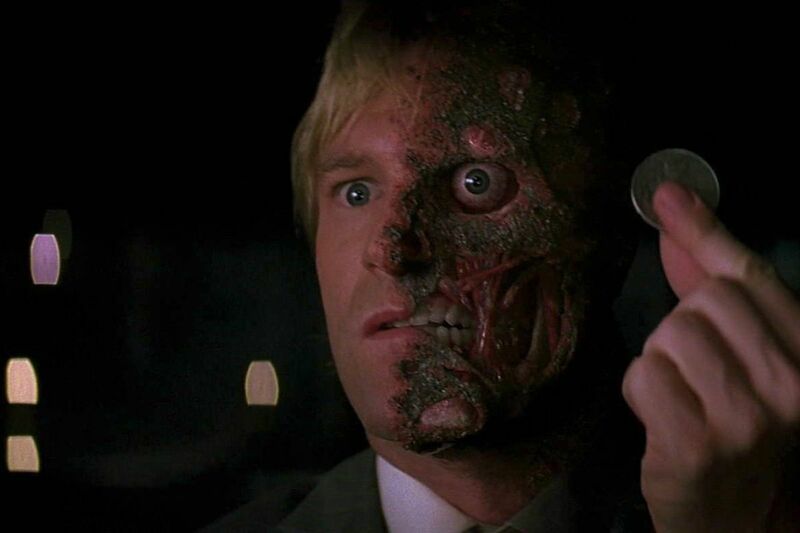 Which side Two-Face was was left to chance. There is a 1-3 chance in a 1d6 (roll of 1, 2 or 3) that Harvey, tossing tails, will not harm or try to harm the PC. There is a 1-3 chance in a 1d6 (roll of 4, 5, or 6) that Two-Face, tossing heads, will attack the PC with a +1 bonus to damage and to-hit. 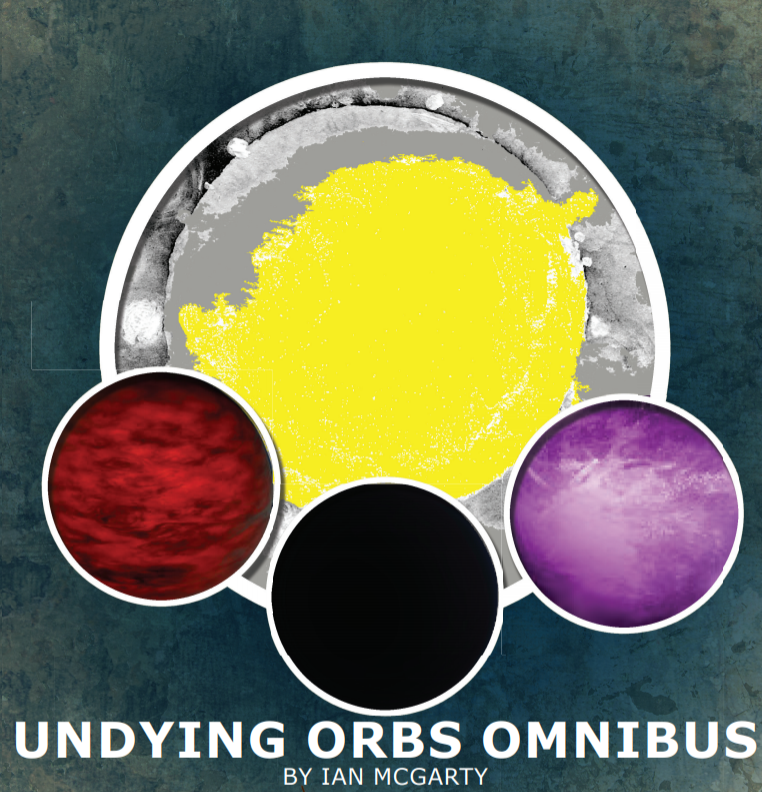 The Undying Orbs Omnibus is a module designed for Swords & Wizardry by Ian McGarty of Silver Bulette. It is designed to take a party of four to six characters from level one to level five. "For centuries, the environs of Redstone have a hidden secret. Under the people's noses, a key to releasing an ancient evil rests. An evil cultist has begun the wheels in motion to unlock the evil. Can a neophite group of adventurers stop the evil from emerging again into their world?" Like a physical book I like to examine the cover, the back and flip through the interior to get a feel of what's inside before reading. This is where a little problem comes into play. It isn't anything serious but the PDF is split into three different files. The Cover Interior, Cover Exterior and Interior of the book. There isn't a PDF of all of these combined so I am not able to see the full book as one thing. The front exterior cover is artwork of what appears to be a few orbs which would fit the title and suggest that orbs are the focus of the adventure. On the back cover behind the text is a an image of a creature that looks a lot like an iron golem. The interior cover is a beautiful map of the city Redstone by Alyssa Faden. Flipping through the Interior of the PDF I notice that there is a map of the surrounding region of Redstone. There are also five numbered "dungeon maps." Throughout there is a lot of artwork and the good thing about the artwork is that most of it is new to my eyes. A lot of OSR independent publishers tend to use a lot of the same stock art in their products. So it was refreshing to see some artwork I haven't seen before. 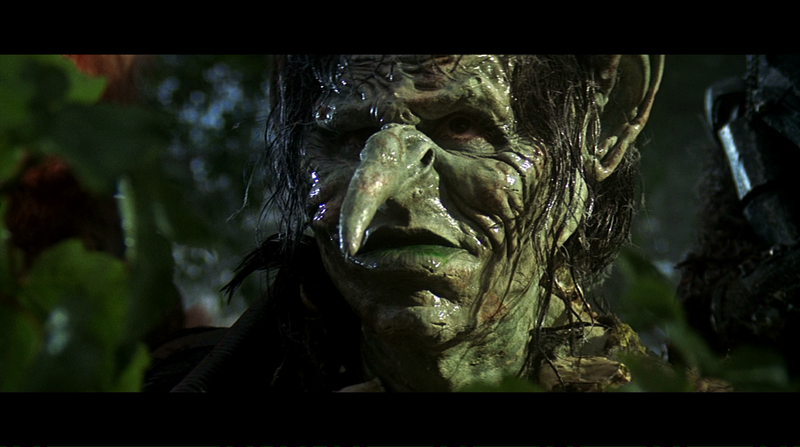 Mentioned here are four different factions; Black Gloves, Church of Muir, Cult of Krocyrian and Red Tooth Goblins. Each has some information that lead into adventure hooks and some background information for the adventure in the book. The Black Gloves is the Thieves Guild of Redstone and the Cult of Krocyrian are mutating cultists that worship a great evil that is trying to break free. This page has a nice timeline of things that should happen once the adventurers complete the Temple of Undying Darkness adventure (starting on page 11). The timeline serves as both what happens before and what happens after the adventures in the book. The in-between stuff isn't mentioned in the adventure sections. So this timeline is very helpful for when the adventurers return to Redstone in-between adventures. It is brief on a single page so it leaves a lot of room for the GM to fill in the rest. I do like the timeline section and I wish more published adventures/modules had them. It helps with understanding the flow of things. Though, some would say it could railroad the game but who cares? It is an adventure that is meant to be played so obviously there is going to be railroading. The next six-pages are dedicated to Random Encounter Tables. There is one for Forests, Nighttime Forests, Rivers, Nighttime Rivers and Unique Encounters. Most of the unique encounters can be used in both forests and rivers. This is just a short one-page hook to get the adventurers into the main story-line of the book. 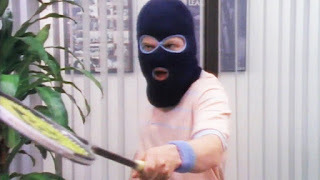 This also introduces the adventurers to the Black Gloves. The four temples are the four adventures for obtaining the Undying Orbs. None of the four temples have an exact location listed in the adventure or the maps. There are some details like forests, cliffs and peaks so I assume it is left up to the GM where these temples are located. Which this is a good and bad thing. A good thing because this gives a lot more freedom and control over this story and a bad thing for those that like to have everything laid out for them. The adventures don't really do much with the befores and afters of the adventures within Redstone. This is all left for the GM to workout but the Timeline would help with that. The first temple is your standard goblins and undead adventure. Though, the map is numbered to sixteen locations it is missing locations fifteen and sixteen in the details. The second temple is located on a peak and filled with winged creatures and dangers that aren't from monsters. The third temple is more of a challenge with difficult encounters and puzzles. It also takes a little more to gain access to the temple. The final temple is filled with puzzles and deadly encounters. The temple's map is numbered to seven but the detailed information for location seven is left out. Each of these temples are small enough that they could be completed in their own session. And with all the stuff that happens between the temples it could take more than four sessions to complete the four temples. This is the final adventure in the installment. There is a race and a battle through a maze with the adventurers and three of the factions; Black Gloves, Church of Muir and Cult of Krocyrian. The rooms in this final installment are full of puzzles. This adventure takes place within the city of Redstone....well sort of. This is the only adventure in the book that shows the exact location where this adventure can be found. This takes up 5 pages of the book. It has the information for the named/key NPCs, faction minions, the orbs, new monsters and magic items. It also has information on the tomes and texts that are mentioned throughout the book. And with it are the five player handouts that you can print and cut out. The orbs are really interesting and cool items. They are definitely items that the adventurers may actually want to keep for themselves. But it is a good thing there are four different factions hunting them down so if the adventurers do decide to keep them they would probably have some serious problems....in a good way. This is worth the $5.00. Though, there are some minor typos here and there but nothing so horrible that it makes it unreadable. Now, I wish there was just a little bit more. Like, maybe the region map marked with the locations of the temples. And maybe a little bit more of a "push" when it comes to the in-between stuff that I mentioned above. Also, I wish there was another PDF file with the whole book as it would be if it were printed. But I believe, if I remembered correctly, that the physical copies that they had for cons had fold-out covers for the map of Redstone. So maybe that's why there isn't a PDF of all of it together. A big plus for me is that the temple locations are small enough that they could be done in a single session and that you can print them out and have them on a GM screen and not need anything else. With this product and Silvery Moon Tavern you could do a lot more than just the Undying Orbs within Silver Bulette's world. 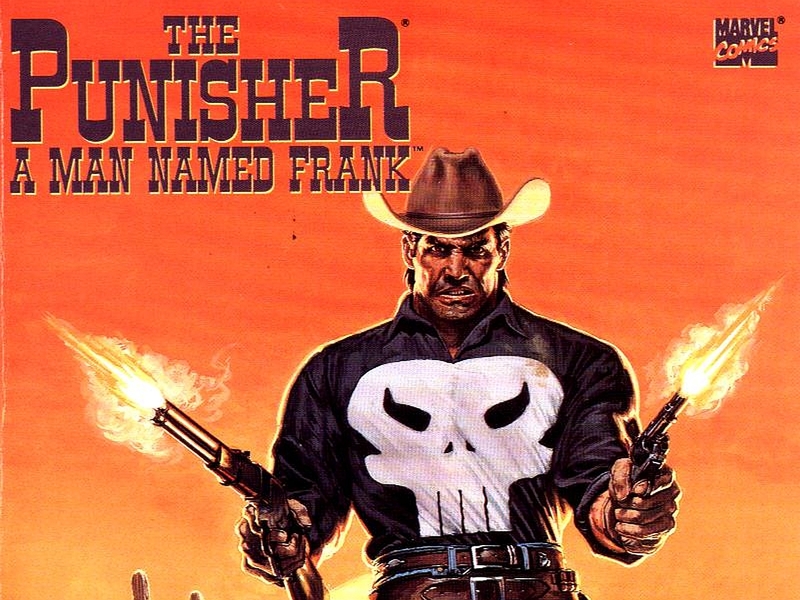 During the war Frank was given a nickname by his fellow soldiers; The Punisher. He was given the name for his ruthless tactics and the fact that he never showed mercy. Frank Castle can use any and all weapons with a +1 bonus to-hit for all weapons. Frank also has a 1-4 chance in a 1d6 of success when tracking foes, hearing noises, climbing walls/cliff without tools, hide in shadows and move silently. 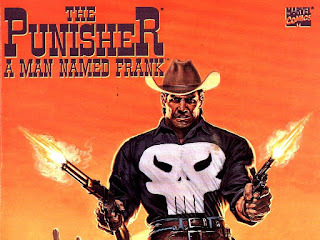 When using melee weapons Frank has a +1 bonus to damage and his unarmed attacks deal 1d6+1 damage (bonus damage included). A drifter wanted for multiple accounts of murder in multiple towns. His motives are unknown but each of his victims are left with their mouths sliced open in the shape of a smile. 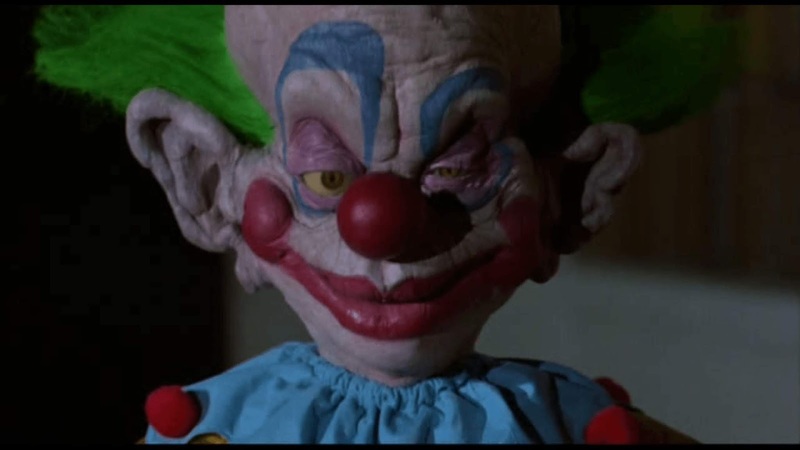 There have been some survivors that claim their attacker's face was painted like a clown and that he wouldn't stop laughing as he brutally killed the others. The papers have given this murderer the name, Joker. 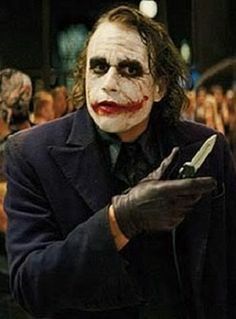 Joker carries many, many knives on his body and rarely uses a gun. Though, he is a fan of dynamite for the flare. The Rocketeer wears a rare device on his back like a pack that propels him into the air. The device is German made and rumored that Karl Benz was the original inventor. 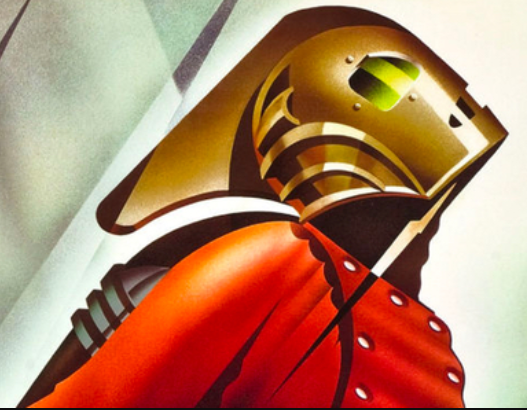 When the Rocketeer, or one that wears the rocketpack, takes damage there is a 1 in 6 chance in 1d6 that the rocketpack would be damaged and explode dealing 3d6 damage in a 20ft radius. Freddy the dream stalker attacks his victims while they are sleeping in their dreams. When an adventurer is asleep, naturally or sleep spell, there is a 1 in 6 chance in 1d6 that Freddy will appear in their dreams. While Freddy is in their dreams the victim has a difficult time waking up. They must make a successful Saving Throw with a -5 penalty to wake up even when someone is trying to wake them. Any damage the adventurer takes within the dreams actually happens to them in the real world. If the adventurer wakes up while holding onto Freddy there is a 1 in 6 chance in 1d6 that Freddy will appear in the real world. 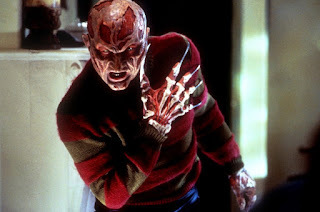 Freddy can only be damaged by magic or magical weapons of +1 or greater in the real world. Supernatural Terror attacks can only happen within dreams. "Fear me not but fear my hell. 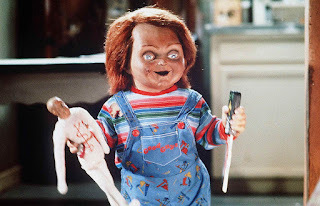 Man made me so I could kill. Praise me in the name of war, I destroy both rich and poor. 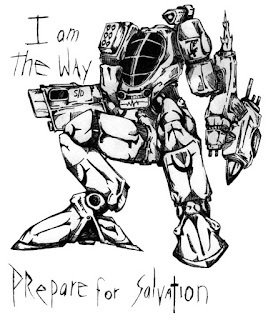 I am the way, prepare for salvation." It was originally created by humanity to serve as law-enforcement but was re-programmed by the Securitron. Dr. Henry Jekyll is an Apothecary of a town in the Old West. A kind and gentle man who often makes house calls to those who may not be able to afford care from the town's Doctor. He also has a dark and evil side that goes by the name, Mr. Edward Hyde. Mr. Hyde "comes out" when Dr. Jekyll drinks a highly addictive remedy that enhances the human body's strength, speed and healing. When this happens Dr. Jekyll's appearance and demeanor completely changes that Mr. Hyde looks nothing like Dr. Jekyll. Count Orlok, assumed to have died in Germany, actually fled from Germany and made his way to America. 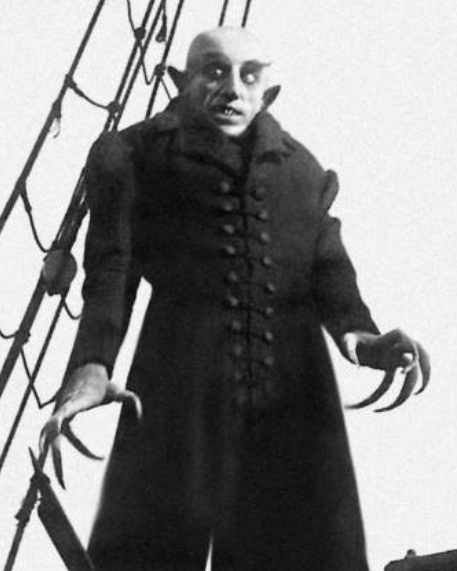 Through travel on train and wagon, Orlok made his home in a town in the Old West. Leaving a trail of death behind. Orlok only receives half damage from firearms and other mundane weapons. While fire causes normal damage and sunlight causes double damage. Orlok's bite causes 2d6 damage and drains two levels from characters. So I've created a little one-page game system. The system is called, One-Six Adventures. The reason is because all you need is a single six-sided die to play. The system is also designed that it assumes the players know the basics of tabletop RPGs so rules for things like Initiative and Skill Checks are not included. This is a skeleton system that you can build upon. Also, it is designed to be hacked into any genre you would like. How the system works is that there are only three Attributes (skills) that a character has. These can be renamed to fit the genre you want. These three Attributes are what determines a Character's Health, Armor Class, Magic Defense and Attack Modifiers. Magic, or whatever you use in place of it, is open-ended. Since all damage (melee, ranged & magic) is based on a single six-sided die the spells are left open for the GM and/or Players to create. Also, spells can target a single target or multiple targets. There is no penalty for targeting a single target. But for multiple targets there is a -1 penalty to the Spell Attack Roll for each target. If a Witch summons an Insect Swarm on a single target then there are no penalties. But if they decided to target all three bandits in the cave then it would be a -3 penalty to their Spell Attack Roll. But what does a non-damage Spell look like in this system? That is what the GM and Players determine. This system allows up to six classes/races/roles/etc. to be created. A class has three levels of degrees when it comes to the three Attributes: Good, Bad and Ok. These determine the Modifiers for each Attribute. Also, since the class doesn't determine things like Health and equipment doesn't determine things like Armor Class the classes are open-ended with questions the GM asks the Players to help define their character. 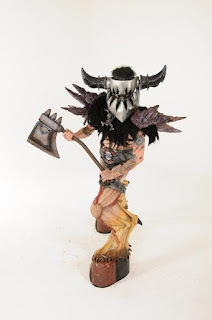 For Example: Barbarian - You are a mighty warrior that fears nothing! You have a two-handed weapon. Describe it. You wear the hides of a fierce animal. Describe it. What is your Battlecry? I have created a Fantasy game with this system called, Broadswords & Deathspells. This is the game that others can build upon and/or hack. It is under a NonCommercial Creative Commons License. So if you do modify or hack this game do credit me and mention that it is a One-Six Adventure Game by Josh Beckelhimer. Also, I would love a copy. And I of course would feature it on my blog. These green skeletal humanoids are from another world. They are pure evil. They just want to destroy and conquer planets. 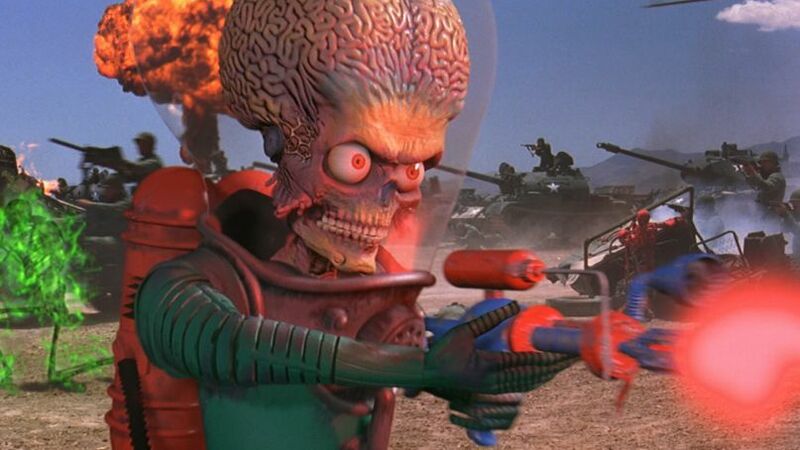 Though, they are small and frail they have a deadly Death Ray Gun. When the Martian successfully hits a target with their Death Ray Gun the target must make a Saving Throw to avoid being disintegrated. 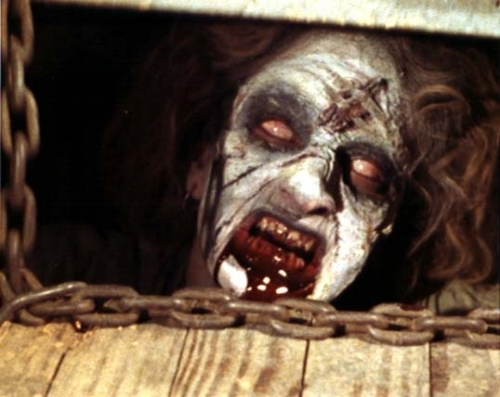 Deadites are humans possessed by a Kandarian Demon. Deadites can only be damaged by magic and magical weapons of +1 or greater. They lure their victims by changing their appearance to what their human form used to be. They can crawl on walls and ceilings. They can even levitate off the ground. 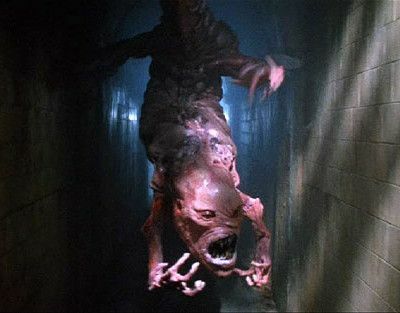 If a humanoid is killed by a Deadite they too will become a Deadite. Deadites often "play dead" and there is a 1-4 chance in 1d6 that they will surprise their victim. The Headless Horseman can only be damaged by magic or magical weapons of +1 or greater. It has a flaming pumpkin in place of a head that it can throw once a day as a Fireball (5d6). 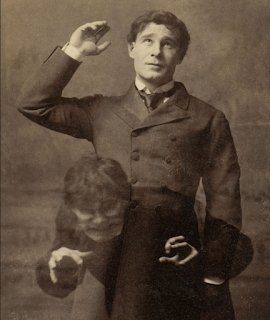 The Headless Horseman collects humanoid heads. 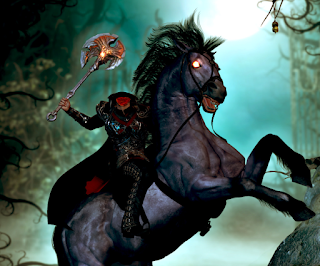 If the Headless Horseman slays a humanoid with it's axe there is a 1-3 chance in 1d6 that the head is severed. 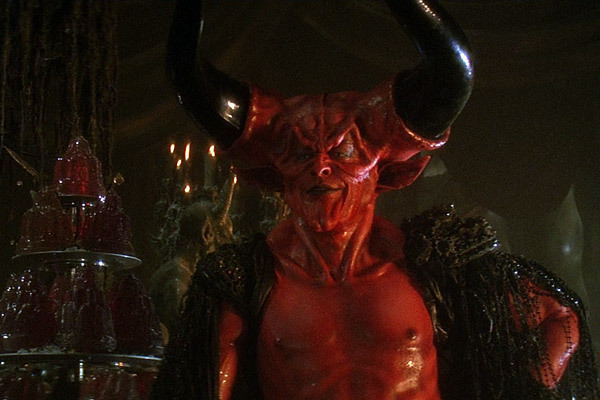 A demon in disguise as a woman. They can often be found in Inns and Brothels. They can cast Charm 3/day. They lure/Charm men, typically wealthy men, into their rooms. Once they are in their rooms they have their way with the men and use their.... teeth. While the men are.... disabled they rob them and leave them to die. They can only be damaged by magic or magical weapons of +1 or greater. When Balsac deals damage with his battle axe a Saving Throw must be made to prevent being feared. If failed the target flees and there is a 1-3 chance in 1d6 that they will drop whatever is in their hands. When he deals damage with his Jaws of Death a Saving Throw must be made or the target permanently loses 1 point of Constitution. Balsac can only be damaged by magic and magical weapons of +2 or greater. An alien weapon lost in time and space. 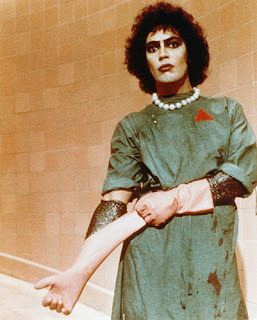 The weapon will only work if the user sticks their arm in it and wears the amulet that can be found with Laserblaster. 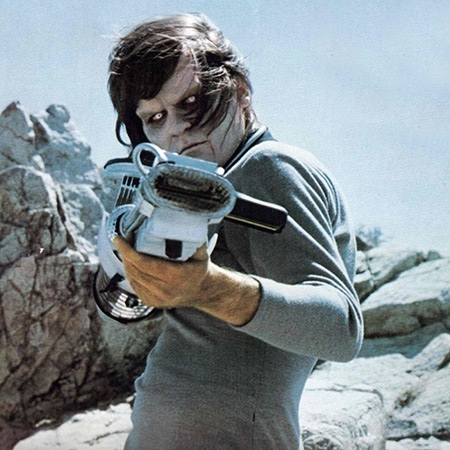 Laserblaster requires two hands to use and it deals 2d6 damage. Each time the user fires Laserblaster they must make a Saving Throw. The amulet begins to corrupt the user with each failed Saving Throw. If the user has a total of 4 failed Saving Throws they are fully corrupted and lose all control. The only way to stop the fully corrupted user is death or by removing the amulet. To remove the amulet the one removing it must make a Saving Throw roll with a -2 penalty for each failed Saving Throw corruption on the amulet (0,-2,-4,-6,-8). These Giant Mosquitoes are more than just a pest. They're eye popping! Their bite permanently drains 1d6 hit points. 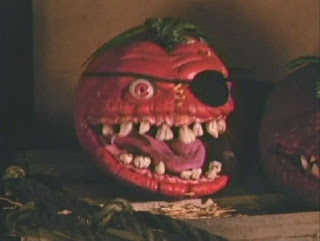 Special: Killer Tomatoes of HD 6 can swallow human-size creatures whole. Created by an insane alchemist these tomatoes have come to life! They don't stop eating and they don't stop growing! 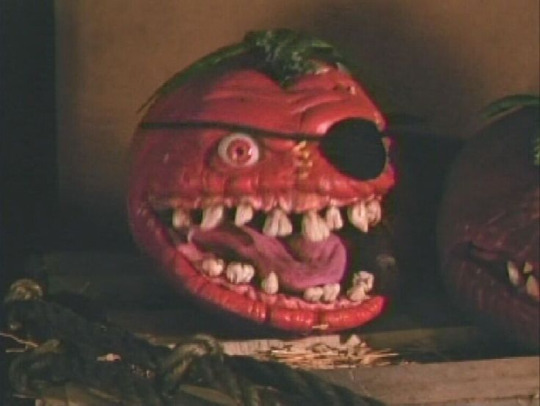 Killer Tomatoes of HD 6 can swallow human-size creatures whole. When they successfully bite a target a saving throw must be made to avoid being swallowed whole. There have been sightings of a Killer Tomato that is large enough to swallow giants whole! Killer Klowns are from outer space....or another dimension. 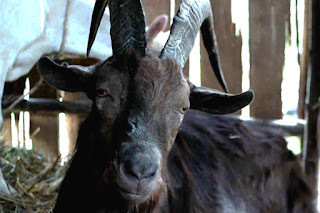 They are pure evil. They have a Raygun that wraps targets in a cotton web-like substance on a failed save. They can also cast spells such as Charm Person, Sleep, Invisibility and Continual Dark. 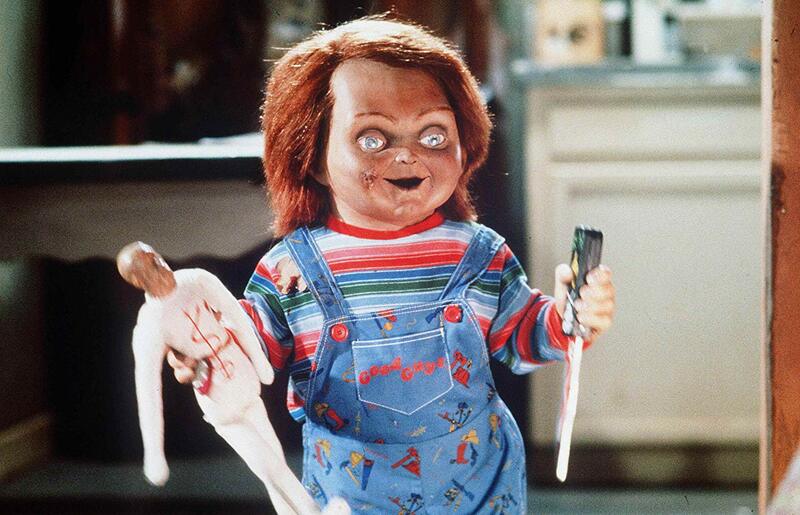 The Possessed Doll is an evil spirit trapped inside of a child's doll. 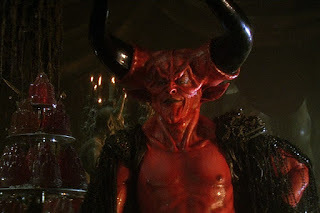 The evil spirit is looking for a humanoid to possess. Including children. Special: Can climb walls with ease. Warrior Bugs that receive a total of 4 or more hits in a single attack will have their limbs hacked or blown off which will begin to reduce their movement speed. Engineers can often be found dwelling within labyrinth type passages/corridors. Capturing trespassers and taking them to their master. The sight of this horrible creature can cause Fear. A failed saving throw means the target flees and there is a 1-4 chance on 1d6 that they will drop whatever they are holding in their hands. Oh, Mother Night! Fold your dark arms about me. Protect me in your black embrace. I sit alone, an impotent exile, whilst this form, this presence, returns to torment me! Special: 5 in 6 chance to Hide in Shadows/Move Silently, double damage when attacking surprised victims, cast Darkness in a 15-foot radius. Blix's heart is black as midnight, black as pitch, blacker than the foulest witch. Blix will attempt to strike while hidden with his Blowgun then finish them off while they are under Sleep. The poison darts are to be treated like the spell Sleep. 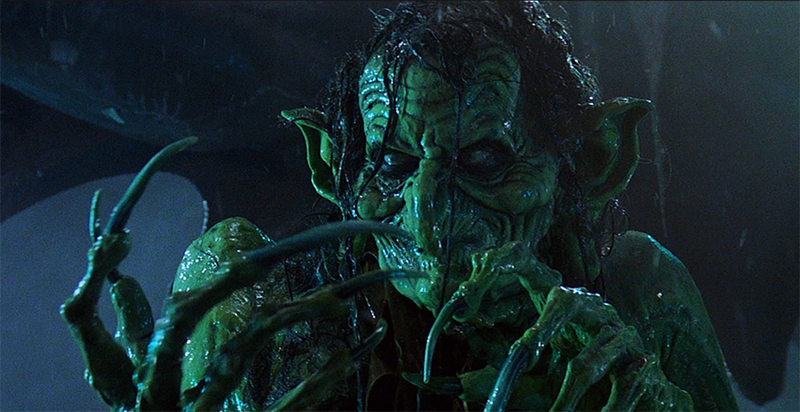 Meg loves to feast on fresh humanoids that wander into her swamps. 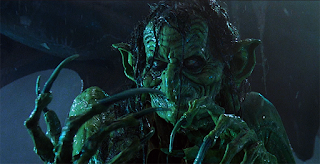 She can cast spells such as, Dark, Continual Dark, Web, Cause Disease, Hold Person, Water Breathing and Hallucinatory Terrain. The Skeletal Dooter is in the front line dooting for its fellow skeletons. A Skeletal Dooter can doot one target a day. Treat a doot the same as the spell Bless.